2019 Bledisloe Cup Auckland packages now on sale! Our Weekend Tour Packages include 2 nights accommodation at a choice of Auckland’s best hotels, a reserved match ticket, exclusive pre-match function on Saturday. To kick start the weekend your package price also includes our welcome party in Auckland on Friday evening, giving you the opportunity to meet all your fellow We Love Rugby supporters and get right into the Bledisloe spirit from the get go. In addition, we provide you with supporters merchandise to support your team in Auckland plus return match transfers to Eden Park. Extra nights are also available to purchase. Official match tickets are included in your package price. 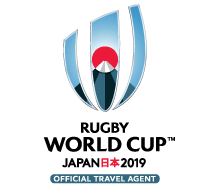 Seats are reserved and fully guaranteed through Rugby Australia and NZRU. A 50% deposit will be required at the time of booking with the final balance due by the 1st May 2019. Located in the absolute centre of Auckland City, on Victoria Street West, only 50 metres from Queen Street for all shopping requirements and 100 metres from Tourist hotspots, Auckland Sky Tower and Sky City Casino. CityLife Auckland offers truly memorable Auckland accommodation. Located on Queen St in the CBD, it’s a short stroll to the city’s best restaurants, bars and attractions like the Sky Tower, Ferry Terminal and Viaduct Harbour. Get the best of both worlds when you stay at SKYCITY Hotel in the heart of Auckland City. Stamford Plaza Auckland has a superb CBD location and is within easy walking distance to the lively Viaduct restaurant precinct on Auckland's Waitemata Harbour, Vector Arena and close to all transport (ferry, train and buses). Centrally located in the heart of Auckland City, the SKYCITY Grand Hotel is a 5 star masterpiece of contemporary elegance and style. The Grand Hotel's 316 guest rooms are luxurious and comfortable, and for those wanting to relax, the sublime East Day Spa and award-winning cuisine by Peter Gordon will do just that.